I don’t need to give you a whole bunch of scare tactics to make you want to stop smoking. You’ve heard them all. You know how scary and carcinogenic they are. You are probably already feeling the negative affects and the toll that years of smoking has taken on your body. You are sick of being sick, and scared of getting sicker. And if you’re reading this, you are probably interested in quitting in a healthy, natural way with no terrifying side effects that prescription medications come with. This can be accomplished so easily through hypnosis. You may be able to quit in the first session, or it may take you a fews sessions, but this all depends on the underlying factors behind why you are smoking (not how many years or packs a day you smoke). Usually some emotional clearing needs to occur first, but not always. Our sessions are tailored just for you and your needs. Hypnosis has a compounding effect, and the rewards are so beneficial when you stick with the process. At the first session, I let you tell me your conscious reasons for smoking and then I hypnotize you, chat with your subconscious mind to get the secondary reasons, and then I give your brain healthy suggestions to replace smoking with something healthy during times in the future when you become nervous or anxious, so you won’t ever feel like you have to pick it up again. You will be able to deal with the stress and anxiety that life throws at you easily and effortless, without picking up a cigarette. You will have the tools necessary to get through the day (both conscious and unconscious). At the second session, I strengthen the suggestions made at the first session and get your feedback. Plus I do whatever remaining emotional clearing work is needed. Many people completely stop smoking after just one session; however, others find they still smoke but have scaled way back on the amount between sessions. After the second session, most people become non-smokers. At the third session, or whenever I give your body cancer healing commands that specifically targets cancer cells (both active and dormant) in the body as a result of smoking. I also give commands to your mind-body connection to rejuvenate and repair your lungs and arteries at an accelerated rate. It is your choice to schedule this session. It is completely worth it for a total health transformation. But just think about it. In only 3 sessions you become a non-smoker and your body speeds up the healing process through trance. Why wouldn’t you want that last session? 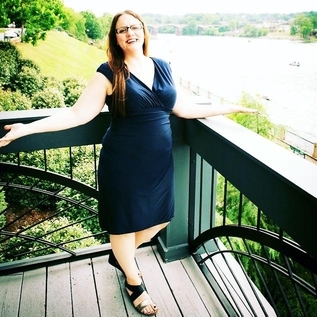 Iprefer doing one-on-one private sessions so that both parties can talk to me freely and openly without worrying about what the other person will think, but I will do sessions together if both parties are on board. AS of this writing, the average pack of 20 cigarettes averages about $6 a pack, on the low end, depending on which state you live in and how heavily taxed they are. (New York charges about $12 a pack!) 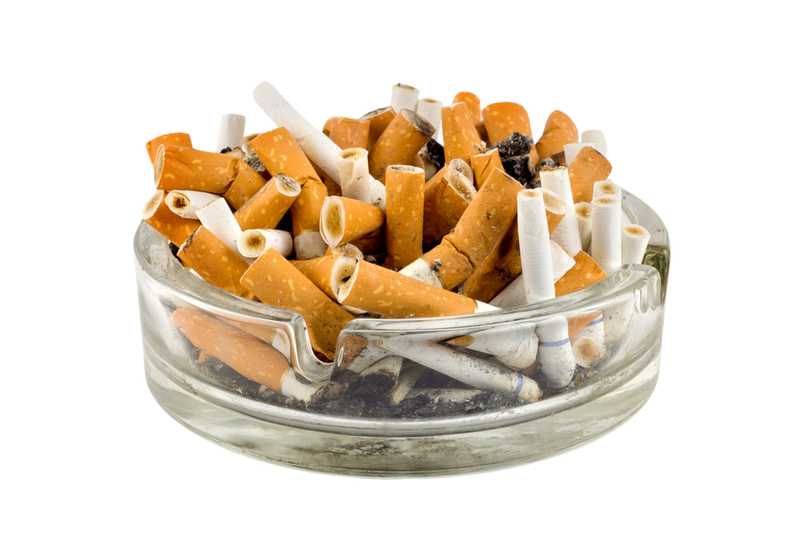 Most smokers smoke at least a pack a day, totaling more than $2,000 per year on average! For just a fraction of that cost, this year, you can be a non-smoker and feel great about your health again (and your wallet!) What are you waiting for? Book an appointment with me today! When I first started my practice, I wasn’t very successful at getting smokers in as clients. I had many people interested in becoming permanent non-smokers and ask me a lot of questions. But they would never commit. I was confused about this at first, and then I realized what it was that I was, in part, causing them to be skeptical by the answer I was giving them. When they asked what percentage of hypnosis worked on smokers to become non-smokers, I would very enthusiastically tell them 100%! Then I would see an eye-brow raise and that was the last I would see of that person. They could not believe something that sounded way too good to be true. Surely they had heard of some people who tried smoking cessation hypnosis that didn’t work on them, right? There are flaws in everything, right? There is not a “magic pill” or everybody would be using it, right? If smoking cessation hypnosis worked 100% of the time, wouldn’t there be a hypnotist on every street corner like a dentist? Those are legitimate concerns. However, I was absolutely telling the truth. The positive effects of hypnosis works 100% of the time, providing it is what the client really wants and is willing to trust in the hypnotherapist to go on a safe journey of emotional clearing. Statistics for smokers who were not successful in long term smoking abstinence range from 10 to 20 percent. The mind is fascinating and will actually believe in a slight failure rate more than a 100% success rate. So I give that as my answer now, but the so called ‘failure rate’ really has nothing to do with the hypnosis, providing the hypnotherapist was fairly adequate. What’s going on with the people in the 10-20% failure rate category is that total emotional clearing has not taken effect? With some people, it takes more than one session to quit smoking for good. Like layers of an onion, sometimes our emotional layers have to be peeled away to clear out the triggers for wanting to smoke in the first place. Quitting with hypnosis does not even rely on how many packs you smoke a day or how many years you have been smoking (although that is certainly addressed), but on what’s really hurting you on the inside. What are you smoking down? What feelings are you pushing away? Why? 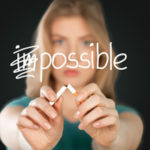 For others, they just want an excuse to say they tried everything including hypnosis and it failed (after only one session where they were not cooperative), which gives them false permission to continue smoking. See, they didn’t really want to quit smoking in the first place. I can pretty much spot those folks now, and when I run into that situation I stop the session and ask them to leave and come back when they are really ready to quit. I do not even charge them for my time. I allow them to leave freely so we are not wasting anymore of each others time. (Besides, I don’t want to get the blame for it not working. I have a reputation as a good hypnotherapist to uphold!) Usually they do come back on their own accord, when they are really truly ready to quit and have 100% success at that time. The beauty of hypnosis is that the answers to the questions mentioned above will be revealed by your inner mind, even if you are not consciously aware of why you can’t seem to put down the cigs. When you get to the root of the problem you can pull it up like a bad weed and get rid of it for good…but it has to be pulled out by the roots or it will come back (sometimes stronger), and could come back under a new disguise. That’s why so many smokers who quit only manage to channel their compulsion to smoke into a compulsion to eat, or gamble, or drink, or shop, or whatever other vice they can think of to fill a void of a problem that started years and years ago (usually in childhood) but had never been dealt with. It doesn’t take many sessions (far fewer than a traditional therapist) to get emotionally cleared. 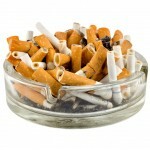 Now I get lots of smoking cessation clients mainly based on word of mouth from my former clients. I always try my best to get the client smoke-free in one session, but sometimes one or two (or a few more—depending) sessions are needed to get the job done—100%!